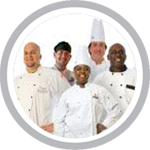 Ohio food handler safety training is necessary for employees in the food service and hospitality industry. Ohio food safety training is for employees (such as chefs, cooks, servers, preparers, vendors, caterers, supervisors and managers) who are involved in preparing, storing, or handling food that work in: (restaurants, bars, cafes, bakeries, delis, mobile food trucks, assisted-living, day care centers, and convenience stores). Ohio requires each retail food establishment to have a person-in-charge, an owner, or manager of a food establishment be a Certified Food Manager (CFM) as outlined in the FDA Food Code by successfully passing an accredited ANSI food safety certification exam. Level One Training – Level One Certification in Food Protection, is a mandated training for the person in charge per shift of a risk level I, II, III, and IV food service operation or retail food establishment. Level Two Training – The Level Two certification in Food Protection is a more extensive training for the food manager and meets the requirement for demonstration of knowledge in rule 3717-1-02.4 (B) of the Administrative Code. 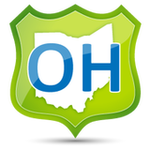 To find a local Ohio Health Department, click here. We offer online Food Safety Training in Ohio for: Columbus, Cleveland, Cincinnati, Toledo, Akron, Dayton, Parma, Canton, Youngstown, Lorain, Hamilton, Springfield, Kettering, Elyria, Lakewood, Cuyahoga Falls, Dublin, Powell, Canfield, and many more!! Springfield - Ohio Food Safety Terms: food safety, food safety course, food sanitation, state-approved, certified food manager, cfm, mobile food vendor, food cart, mobile food trucks, food truck, catering, food safety training, food safety exam, food manager certification, food handler card, food handler, food safety manager, food manager cerification prep, food manager, food managers certification, on-premise, off-premise, food managers class, food managers course, food safety class online, haccp, serve-safe, foodsafety.gov,fda.gov, food safety training, ansi, cfp, ansi-cfp, food safety jobs, food safety links, food safety course demo, food safety regs, food inspector, foodborne illness. Columbus, Cleveland, Cincinnati, Toledo, Akron, Dayton, Parma, Canton, Youngstown, Lorain, Hamilton, Springfield, Kettering, Elyria, Lakewood, Cuyahoga Falls, Euclid, Middletown, Mansfield, Newark, Mentor, Cleveland Heights, Beavercreek, Strongsville, Fairfield, Warren, Findlay, Dublin, Lancaster, Lima, Huber Heights, Marion, Westerville.